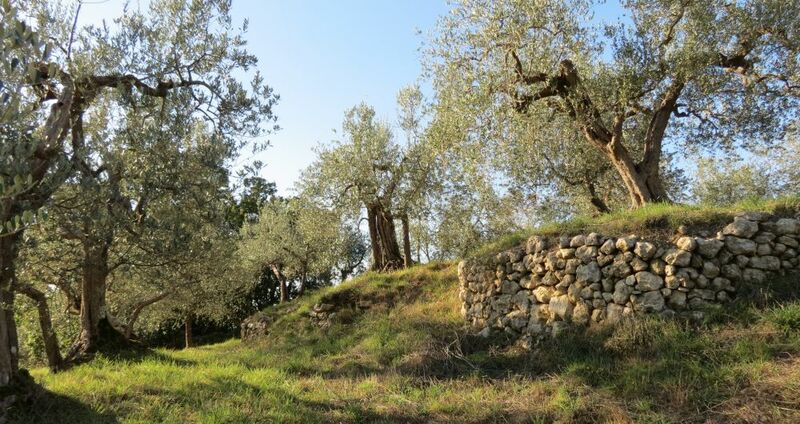 This is one of those rare pieces of land that have it all. 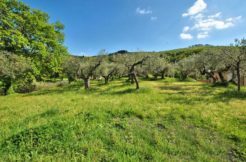 A location close to amenities and within easy reach of the highway, but away from the bustle, a gorgeous view whichever way you look. 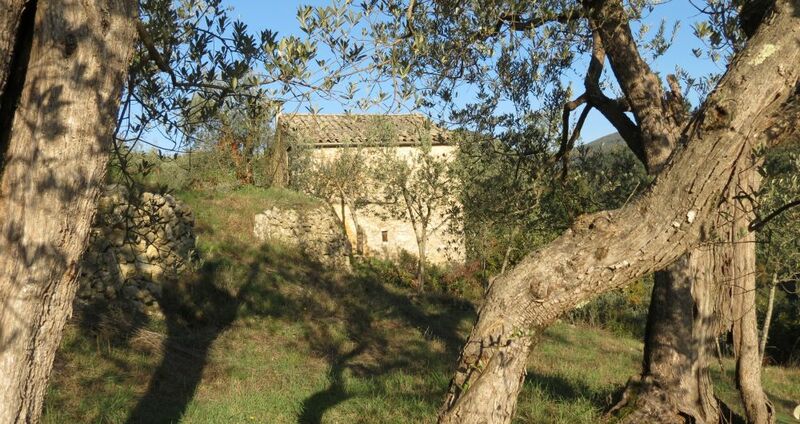 It boasts lots of charming details which immediately gives you the feeling this the plot you want to make your home! 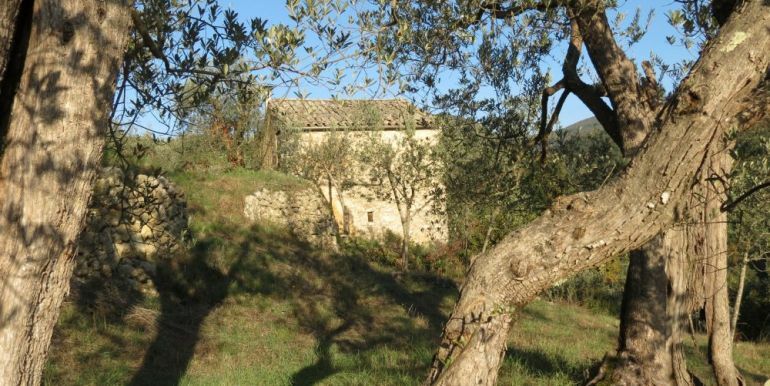 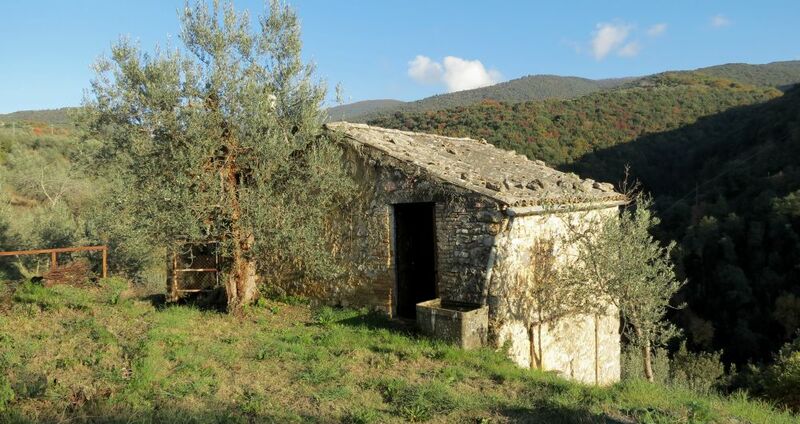 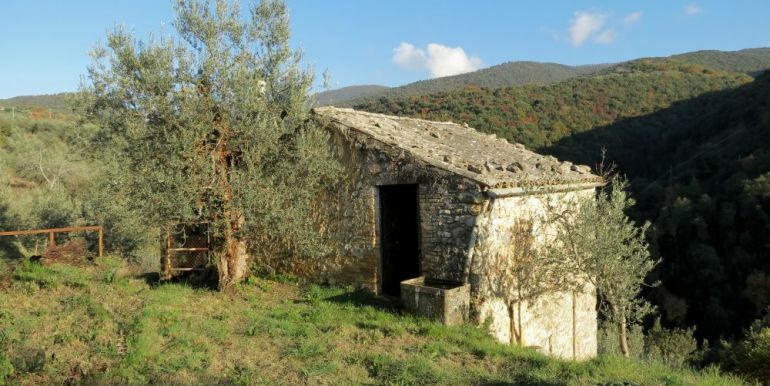 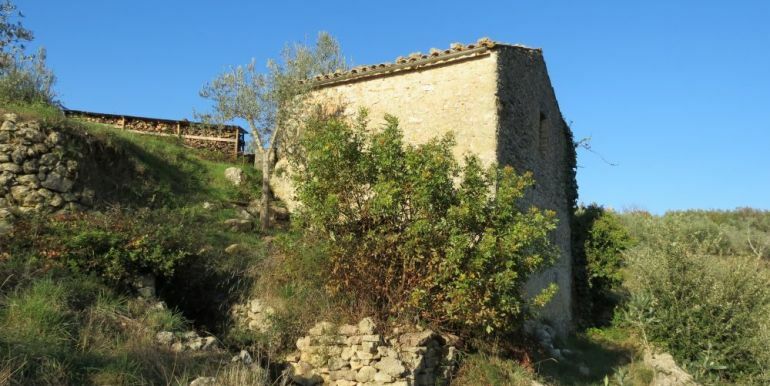 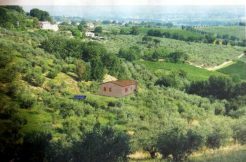 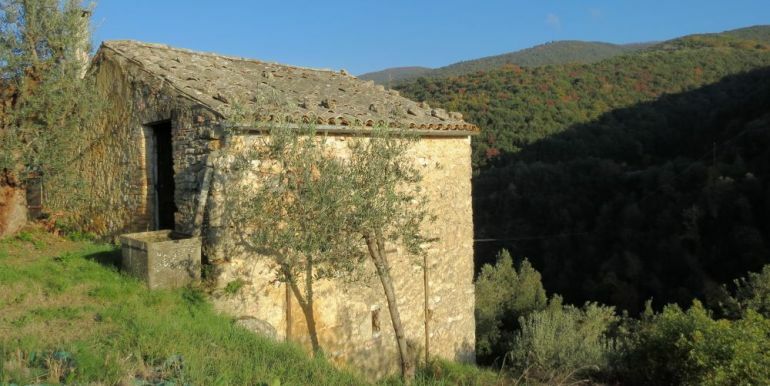 The total surface is 2 ha which is divided into a well maintained vineyard, an olive groove with beautiful old en productive trees and land around the 64 sq m house which can either be restored or demolished after which e new house can be constructed within a certain range of the original location. 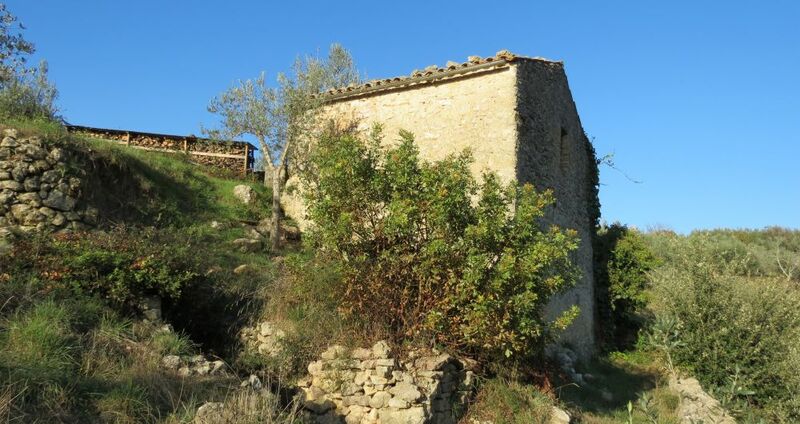 Another 100 sq m can be added on to either project. 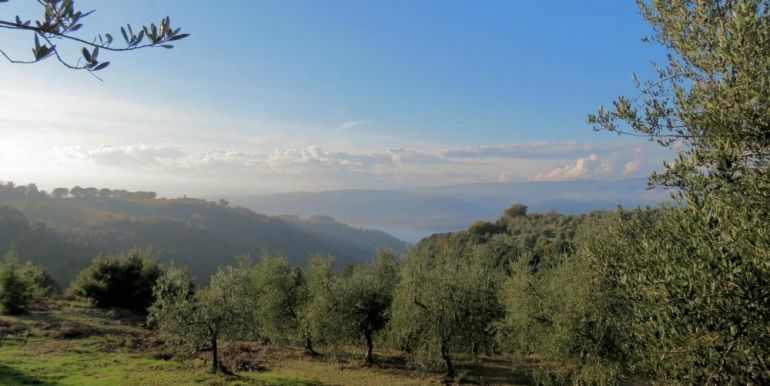 To build a new home offers the possibility to place it at the site with the best view of the nearby Lake Corbara. 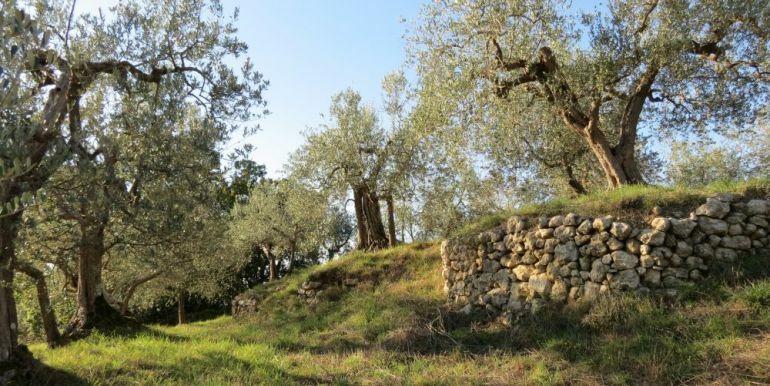 Many ancient stone walls have been constructed a long time ago to form terraces to make the olive groove more convenient and to protect the backside f the plot which slopes down to a little stream. 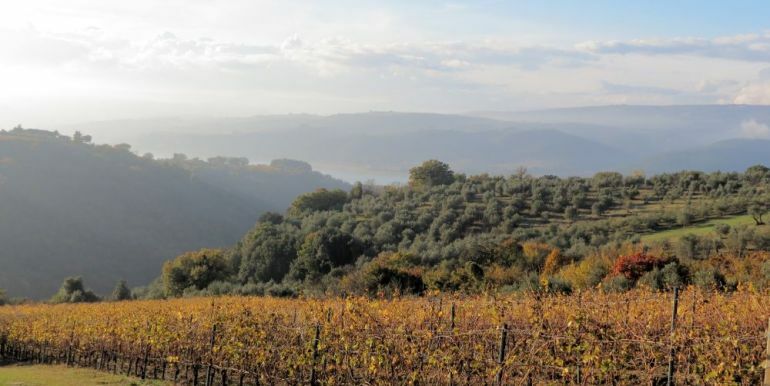 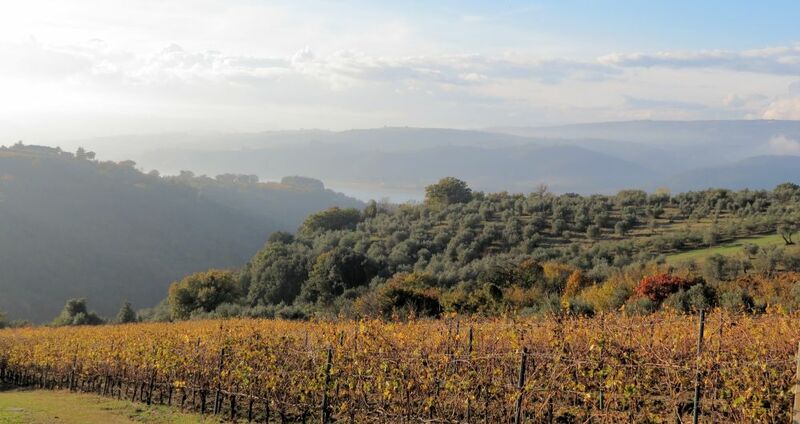 The land has a high hilltop at some distance to the west, countryside to the south, Lago Corbara and the Tiber valley to the north and Civitella del Lago uphill to the east. 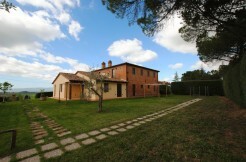 Its location is very private yet open and certainly is one of the best locations we can offer. 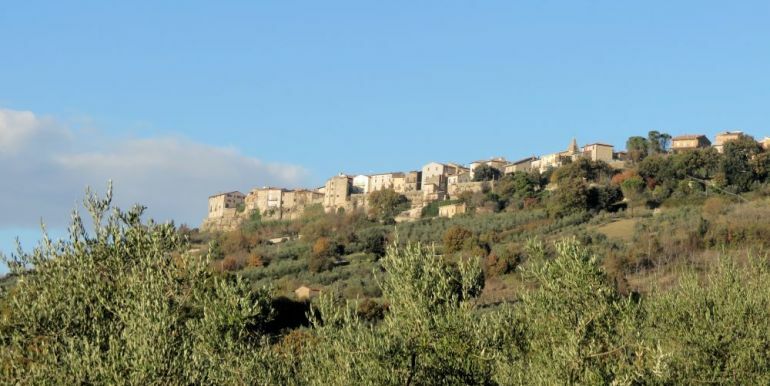 Civitella del Lago is an ancient hamlet however a little bigger than the average village and offers lovely winding streets, a pizza, restaurants, a bar and even a supermarket. 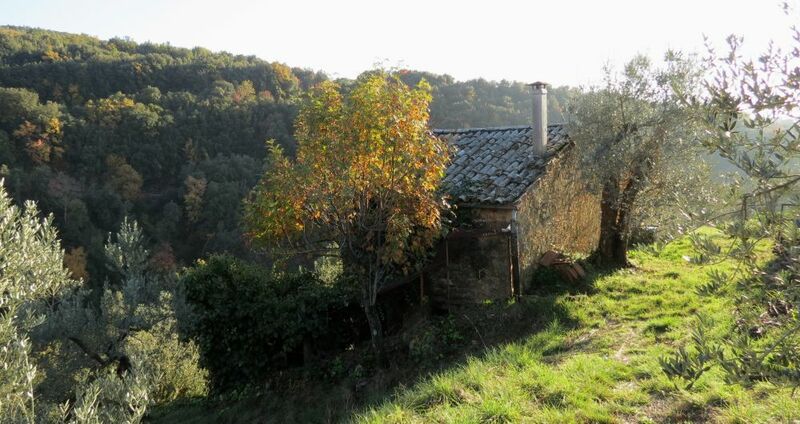 Perched high on a hilltop overlooking Lago Corbare it even offers a spacious and neat “balcony” view point. 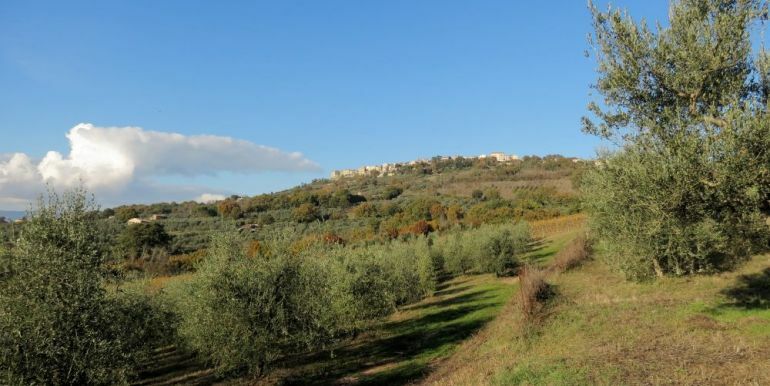 Access to the A1 highway is only a few kilometers away and Civitella is surrounded by interesting and beautiful cities, many of them dating back to Etrusken times. 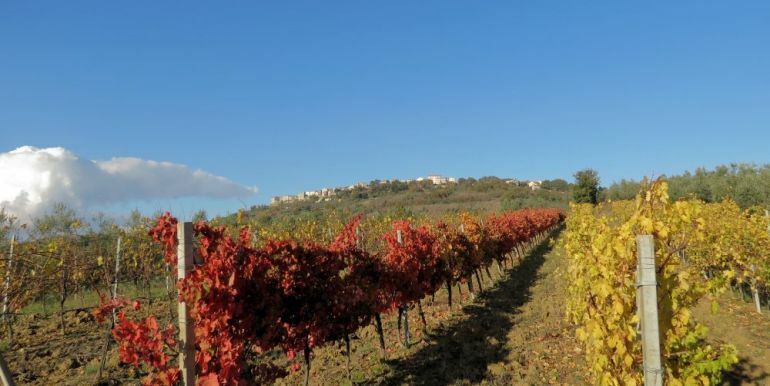 Orvieto is a mere 23 km away and apart from its famous cathedral it offers a train station for easy trips to for example Rome or Sienna. 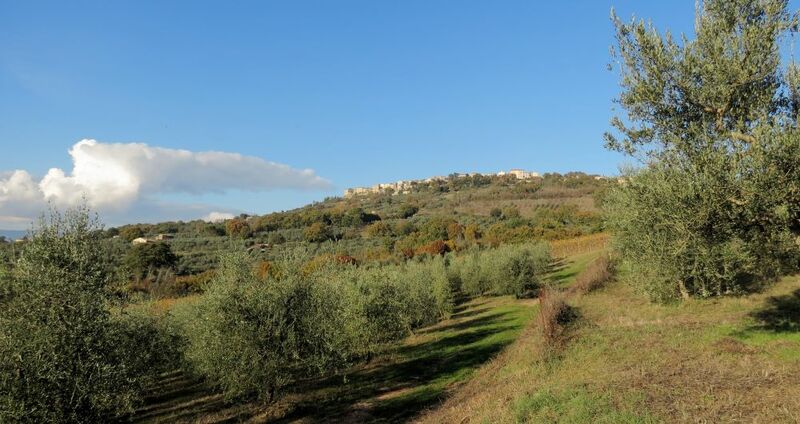 The famous city of Todi is also 23 km away and Amelia, the oldest city of Umbria lies approximately 33 km away. 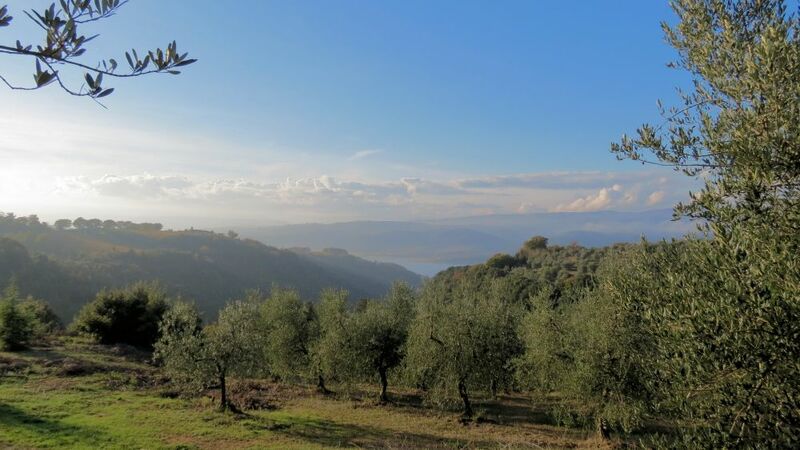 Perugia is about 65 km away and features the San Egidio airport. Rome with two international airports is situated 138 km to the south.